This is my block for Rita. Rita has the first round of the Sew Connected virtual quilting bee. She sent this set of sunny fabrics and an adorable little embroidery patch. We could choose to keep it, or use it in the block. How could I resist putting this in the block? 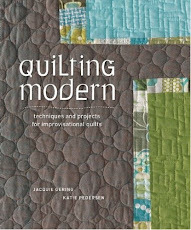 The thing about these virtual quilting bees that is so much fun is that I get to spend hours, days, and sometimes weeks on one block. I rarely have the luxury of putting that much time or thought into one block. 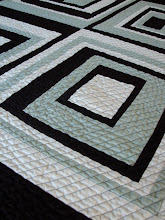 Maybe a whole quilt, but never one block. It's stimulating and challenging working with someone else's fabric choices and their guidelines. Rita, thanks for sending so much fabric. It made the process easier and gave me loads of choices. Hope you like it! I saw an embroidered bunny-block at crazymomquilts. Love them both!! It's really nice! I love the idea -- it's like writing with a prompt. Someone has given you the stuff and you have to make something with it. What fun! I really like this! The colors are wonderful they remind me of the orange creamsicles, don't they?? That is an adorable block! really cute! 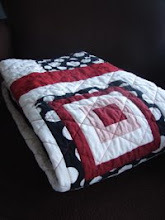 I have got to start adding embroidery to my quilts. this is so sweet! Love the green you added! It's a nice balance :) Your block is beautiful . . . I need to get on mine. Neat! 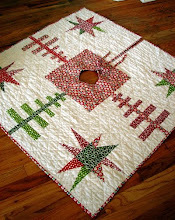 Embroidery and quilting go together like bread and butter... I actually finished a quilt top myself yesterday. I am going to quilt it myself. I only have to save up for some batting and I'm on my way. Sweet block! She really chose some nice fabrics, and those little embroidered critters are so cute. I like the color...make me feel energized. remind me too of the sunshine in the morning. Thank you so much Jacquie for your comments in my blog!! I really appreciated your advice. I'll try and tell you later. Love the variety in your block Jacquie! I'm sure Rita will absolutely love it! The green dots really frame the embroidery piece nicely. Beautiful job as always! great block! how big is it!? It looks very big! How pretty. Love the colors. Fantastic work! Oh Jacquie, I love it. The fabric is cute but your design is lovely. 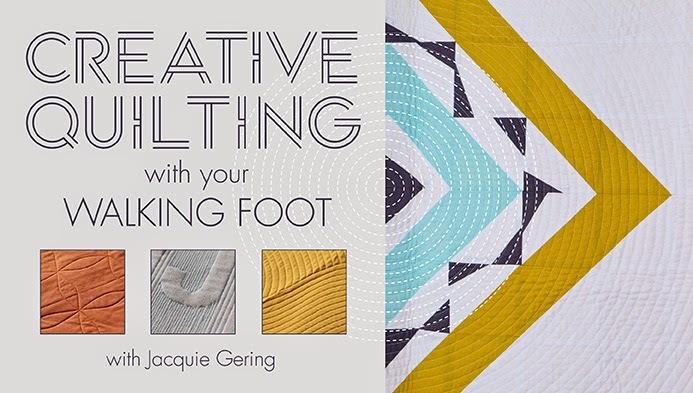 I love your block, Jacquie! It's beautiful! 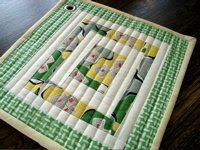 The balance of colors is spot on, and I love the green polka dot fabric you added! Thanks so much! Your block is happy,fun and friendly. I really like it. I really like this...very fresh! 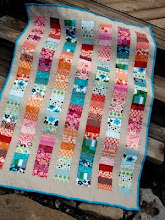 Okay, I'm thinking that you and Elizabeth (from Oh Fransson) are in my top five favorite quilters. 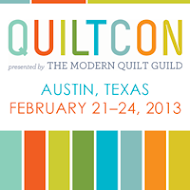 I'm just saying..... in my book of lists you would be in there filed under favorite quilters! you did a great job! it's nice just working on one block and then being done, isn't it? I enjoy that aspect of the group a great deal. Yet another inspiring project! I love how it came out. 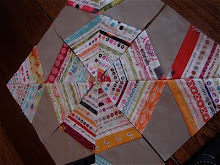 Rita's quilt is going to be really fun.